The Portfolio Committee on Basic Education convened with the South African Human Rights Commission (SAHRC) to consider the report of the National Investigative Hearing into the impact of protest-related action on the right to a basic education in South Africa. The Commission stated that the majority of the problems cited by the protestors were not related to education and the schooling sector, but were due to the lack of delivery of social services. Owing to the constant neglect of service delivery, the protesters had eventually resorted to violence and had targeted schools as means of getting attention. The legislation applicable was the South African Schools Act (SASA), in which it was stipulated that pupils could not be denied a basic education or be denied access to it. Therefore, the criminal behaviour that had prohibited fellow pupils from receiving their basic education undisrupted could be acted against on the basis of the Act. Those who had violated the SASA could already be prosecuted in terms of its current provisions. However, it was recommended in the report that the national response team should make a determination as to whether the statutory criminal sanctions were a sufficient deterrent. Should it be determined by the response team that amendments to the SASA were necessary, the Department of Basic Education (DBE) should initiate the process to bring about the amendments to the legislation. Broadly, the impact on children included their inability to attend school, the inability to prepare for and write examinations (especially Matriculating learners), and the inability to access school feeding programmes, which was a measure to alleviate poverty. Interruption of their education was particularly difficult for children from poor or marginalised sections of society. Parties had been requested to indicate within three months of issuance of the National Hearing report on 15 December 2016, whether or not they agreed with the recommendations. Since no objections had been received, the SAHRC had presumed that the report was accepted and its recommendations were implementable. However, the DBE was of the view that the report’s recommendations were unacceptable and not feasible to implement. The Minister acknowledged full awareness of the concerns and the protests’ impact, particularly concerning the safety of teachers and learners, as well as the damage to school infrastructure. However, the issues that had motivated the protests had not been derived from Basic Education or the academic system, but rather from frustration regarding the lack of service delivery that was beyond the scope of the DBE. Protestors had highlighted issues relating to water, houses or infrastructure, and other social development portfolios, as the reasons behind their protests. The protests had unfairly used the schools as an outlet for civil frustration. The issues raised by disgruntled communities were mainly the responsibility of the Department of Cooperative Governance and Traditional Affairs (COGTA). Members questioned why a determination for prosecution using SASA was expected from the DBE, since the Department was a victim of the protest action and was not responsible for the aspects of service delivery that had provoked the protests in the first place. They asked whether the SAHRC had sought to understand why adult community members with illicit intentions were using learners as pawns by means of the protests, and whether it had done a proper analysis of the reasons for communities to target learners and school infrastructure. They sought clarity on the current situation and the budget allocation to resolve the impasse in Vuwani. How were pupils compensated for the loss of teaching time due to teacher strikes? Had the perpetrators who incited crowds and inflicted damage on infrastructure been identified and dealt with? Were the educators involved in putting in extra hours to catch up on lost teaching time due to the protests being duly compensated? The Committee was of the view that the recommendations from the SAHRC report were misdirected towards the DBE, and should be directed to the specific departments affected, such as COGTA and the Independent Electoral Commission (IEC), so that the problems could be adequately addressed and not allowed to fester. Mr Andre Gaum, Commissioner, South African Human Rights Commission, presented the report on the National Investigative Hearing into the Impact of Protest Related Action on the Right to a Basic Education in South Africa. The National Hearing was a formal investigation and had followed the events in Vuwani, Limpopo in 2016, where it was reported that 29 schools had been burnt (affecting 10 233 learners); and 102 schools disrupted (affecting 52 827 learners). He said that the majority of the problems cited by the protestors were not related to education and the schooling sector, but were pertaining to the lack of delivery of social services. Due to constant neglect of service delivery, the protestors had eventually resorted to violence and had targeted schools as means of getting attention. The legislation applicable was the South African Schools Act (SASA), in which it is stipulated that pupils could not be denied a basic education or be denied of access to it. Therefore, the criminalized behaviour that had prohibited fellow pupils from receiving their basic education undisrupted could be acted against on the basis of the Act. Those who had violated SASA could already be prosecuted in terms of its current provisions. However, it was recommended within the report that the National Response Team should make a determination as to whether the statutory criminal sanctions were a sufficient deterrent. Should it be determined by the National Response Team that amendments to SASA were necessary, the DBE should initiate the process to bring about the necessary amendments to the legislation. 4. Inability to access school feeding programmes, which was a measure to alleviate poverty. During 2015-16, the Commission had developed a repository of knowledge based on investigative hearings and report recommendations made since 2009, with a view to strengthening the monitoring of the implementation of the reports and recommendations. The repository was updated with all newly issued recommendations, including the report on Protest Related Action and Basic Education. Mr Gaum concluded with a detailed breakdown of the main findings of the National Hearings (see attached documentation, slides 14-20), as well as the 13 recommendations (slides 21-27) made by the South African Human Rights Commission (SAHRC). Parties were requested to indicate, in writing, within three months of issuance of the National Hearing Report, i.e. 15 December 2016, whether they had agreed or not with the recommendations. Since no objections were received by the Department, the SAHRC had presumed that the report was accepted and its recommendations were implementable. The Department of Basic Education (DBE) was to provide its first report on the activities of the National Response Team and the implementation of the hearing report’s recommendations by 15 June 2017, with a further progress report by 15 June 2018. The Commission had also sent correspondence to the Department requesting a progress update on the implementation of the recommendations, as well as a reminder of its report on implementation, due on 15 June 2017. The Commission appealed to the Portfolio Committee for its assistance in exercising oversight over the implementation of the Commission’s recommendations. The Chairperson said it was a pity that the protests that occurred had not derived from problems stemming from the education system, but had been incurred due to issues of service delivery. He requested comment from the DBE. Ms Angie Motshekga, Minister of Basic Education, DBE, apologised for the lapse in communication with the SAHRC on the report tabled. 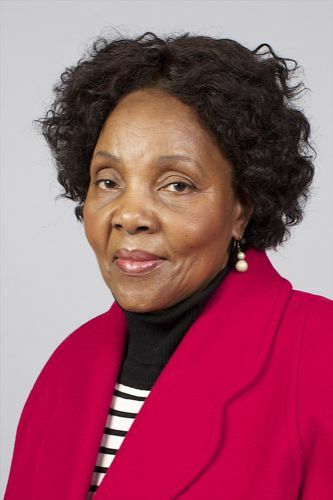 She acknowledged full awareness of the concerns and impact, particularly concerning the safety of teachers and learners, as well as the damage to school infrastructure, and had empathised that the issues that had motivated the protests had not derived from Basic Education or the academic system. Instead, the incitement had originated from frustration regarding the lack of service delivery that was beyond the scope of the DBE. Protestors had highlighted issues relating to water, houses or infrastructure and other social development portfolios as the reasons behind their protests. This cause célèbre display of the protests unfairly used the schools as an outlet for the civil frustration. The issues raised by disgruntled communities were mainly the responsibility of the Department of Cooperative Governance and Traditional Affairs (COGTA). However, within the areas affected by protest action, engagement with the relevant MEC had taken place to ensure the safety of learners. The DBE had decided to play a low-level role and ensure communities cooperated with it in the removal of learners from volatile areas. The Department had subsequently created relationships with the affected communities, and had recently been able to mitigate dangers to schooling by engaging with protesters and communities to move their protest actions away from the school precincts. Regarding the report by the SAHRC, the official response by DBE was verbally cited as follows: “The Department did not agree with the recommendations, because it had considered them as un-implementable and unnecessary”, and thus had deemed the report as “unacceptable”. Contrary to the findings of the report, that the law of SASA was applicable in handling the protest action, criminal laws should instead have been applied in the situations that had transpired. The DBE had agreed with the challenges cited within the report. However, not only were the recommendations inapplicable, but some of them would also have implications for government, such as the setting up of an inter-ministerial task team. Additionally, in terms of presidential powers, it was the prerogative of the President to set-up an inter-ministerial committee and decide which department would form part of it. Furthermore, the response verbally cited would be supplied in writing again, since the initial submission had failed to reach the SAHRC. Also, if the SAHRC could make allowances for an extension, the report would be tabled to Cabinet, after which the written official response would entail the support of Cabinet as well, since the DBE could not make a unilateral decision on behalf of Government. Mr Hubert Mweli, Director-General: DBE, said that the Department had appeared before the SAHRC from 12 to 16 June 2016, and had made a 29-page submission, besides annexures, to the hearings. The submission could be made available to the Portfolio Committee on request. It should be noted that the SAHRC had, indeed, invited stakeholders, but the findings had been made exclusively by the SAHRC. It was necessary to pre-empt the impact of social service delivery protest action in education, so it was essential that the SAHRC made recommendations that were implementable. The Department, therefore, appealed for the findings and recommendations to be revised to include government as a whole, as opposed to the focus of responsibility for remedial action being led by the DBE, because the Department was consequentially a victim of the protest action. Therefore, the modality required for intervention should be different to that which was proposed. Mr H Khosa (ANC) referred to recommendation number 5: “The National Response Team should consider Section 3 of the South African Schools Act (SASA), and determine whether the criminal provisions contained therein, were sufficient to be used to prosecute persons engaged in public protests who deny learners access to education”. Why was this determination expected from the DBE? Since the Department was a victim of the protest action and was not responsible for the aspects of service delivery that had provoked the protests in the first place, the DBE should not be held accountable for resorting to its legislation or lack thereof to prosecute offences that had derived from other spheres of Government. The function of state laws was to induce and regulate order and safety, so the Department was responsible for this collective mandate within the constraints of its capacity. However, the report implied that the DBE was responsible for initiating a task team, which seemed inappropriate since none of the reasons for the protests derived from the basic education sector. Also, had the SAHRC sought to understand why adult community members who had illicit intentions were using learners as pawns by means of the protests? The omission of the reality that in many instances the minors were influenced to protest and would not have done so on their own accord, as a means to cause disruption for attention to other social issues, implied that the SAHRC had not visited the communities personally to have extensively deduced cause-and-effect around the protest action. Ms N Tarabella-Marchesi (DA) said that the report did not have explicit timelines regarding each protest. There were no time references to when protests had began, escalated, subsided or had ended within each location for the elapsed five years. Secondly, was the Independent Electoral Commission (IEC) not considered as a possible stake-holder, because it was not cited among the list on slide 13? Thirdly, what was the full extent of the learners affected, the months that the protest was prevalent, and the specifications of the impact incurred? Fourthly, why was the DBE expected to lead the task-team? Fifthly, were affected municipalities dealt with directly, as the context of each municipality was different? Next to the Minister, what were the sentiments behind the public statement made that, “if they (pupils) continue to burn schools, let it be”? Also, had the budget allocation included school infrastructure sufficiently for the rural areas, and to resolve the impasse in Vuwani? Why had the Minister’s reaction been slow regarding assistance for Vuwani? Ms J Basson (ANC) asked the Minister if she agreed that the issues raised by the protestors had nothing to do with education. Next to the SAHRC, how had the input by the stakeholders been the dealt with? Since lack of service delivery was the root cause, it was impractical to expect that the schooling system would be able to identify warning signs, as cited by Finding 5, because it was not the academic system that had failed the protestors. It was, therefore, a societal problem. 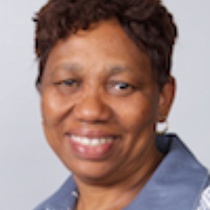 Ms N Mokoto (ANC) thanked the SAHRC for their interest in the pupil protest action. It seemed that there was a loophole regarding the stakeholders involved, because it had not encompassed the notion of national cohesion as presumed. If a collective understanding of national values and vision had existed amongst civil society, diplomatic measures would have been sought resolve the frustrations that it had suffered. The Department of Arts and Culture (DAC) was not enlisted as a stakeholder, yet it should have been involved due to its influence on devising and expressing national identity. It could not be expected of the DBE to carry all of the responsibility necessary to resolve all of the issues both underlying and overtly the cause of contention. The standard of libraries had been highlighted as a concern among protestors, and it was understood that the Department of Arts and Culture (DAC) was accountable for the service delivery of libraries. The report of the SAHRC had no balance. Equilibrium was imperative to address the matter with tact and sensitivity, because two competent rights were at risk within the protest action -- the competent right to protest and the competent right to an education. She asked the Minister whether coordination for intervention had been done at the presidential level. Had the public been permitted to participate regarding the protests and communicate about the implications within their communities at public hearings? Even the teachers and their unions may have suffered, but they were not mentioned in the report. The report by the SAHRC was not sufficiently inclusive. Mr G Davis (DA) questioned what the SAHRC believed was the cause of the protests. Did it hold the view that if government had delivered social services as was required, there would have been no need to mitigate the protests now? He asked the Minister if the public statement made, “if they (pupils) continue to burn schools, let it be” would not serve as a provocation to exacerbate the problem by permitting free rein to the perpetrators, whilst abandoning the vulnerable to be further open to having their fundamental human rights violated? Part of the role of education was to prevent outbursts of such a nature, by educating civil society to express their concerns by means of diplomacy and without the desire to destroy infrastructure. If this comprehension was not grasped during the years of basic education, then it would become inevitable that society would resort to violent measures that it deemed as the only mechanism to be heard, but in so doing the Government would perpetually need to cure the damage by means of remedial action. Prevention was better than cure, so understanding the significance of education and respect for it had a greater probability for conditioning or collective grasping if it was treated with the correct sensitivity when under threat. The significance of education for the lives of the affected learners to DBE or Government was perceived by the manner how intervention had occurred, expressed or failed to do so. Since the Minister had made a public statement of insouciance, it could be perceived by the learners, parents and communities affected, as well society at large, that the suffering encountered by pupils implicated by the backlash of the protest was immaterial and that education was not a priority for those affected. Therefore, did the Minister take personal or political responsibility, and if not personal, then who should take responsibility for the escalation of the protests following the insubstantial public statements made by the Minister? Addressing the Director General, Mr Davis said the notion of victimisation was true, but the actual victims were the pupils themselves and not the Department, officials or politicians. Another issue of concern was the internal strikes that had taken place. What was the DBE doing about the teachers’ union strikes, and how had pupils been compensated for the loss of teaching time? Regarding the protests, had the perpetrators who incited crowds and damaged infrastructure been identified? If so, how had the perpetrators been dealt with? It was disturbing that no action had been taken against the perpetrators identified in damage to infrastructure. The reluctance to accept the SAHRC recommendations by the Minister of Basic Education seemed disturbing. Would the Minister use her position, power and influence as a leader in society to ensure that the recommendations within the report would be tabled to Cabinet and followed up as a matter of urgency for implementation? Addressing the SAHRC, he said that in terms of Chapter 9, the recommendations made during the ruling on Nkandla had been binding by the Constitutional Court. Would the same extent of binding powers be assumed regarding the recommendations made within the report, since the SAHRC was a Chapter 9 institution? If so, what would the SAHRC do to enforce it? Or was SAHRC of the view that it lacked sufficient teeth to have its recommendations implemented? Ms H Boshoff (DA) asked the DBE if the educators who had put in extra hours to catch up on lost teaching time due to the protests had been duly compensated? If the law stated that the police could not be called for until a violation occurred, but the DBE might have been aware of situations in which the police service could be relied upon for order and regulation, why was this level of regulation allowed to proceed? The presence of police officers on school campuses invoked resentment from the learners, as they could interpret the policing as though they, the learners, were already perceived as offenders and should be harshly regulated. Why were the safety units, effectively utilised in KwaZulu-Natal, not replicated in other provinces? What were the exact locations of the safety units? She asked the Minister what her sentiments were regarding the two schools that had been burnt. How would remedial action be implemented? Also, had the underlying causes been addressed or had any way been sought to address the social issues that had manifested themselves with the protests? She asked the SAHRC whether the inter-ministerial committee would include the Department of Social Development. Ms C Majeke (UDM) noted that the recommendations on human resources made in the report required the relevant organs of state to take responsibility. For example, the Department of Water and Sanitation (DWS) should be held accountable for the shortage of water services where applicable, and the complaints about gravel roads should be addressed by the Department of Transport (DoT) accordingly. In the Eastern Cape, pupils had protested by breaking their school benches to attract attention to their need for adequate sports grounds. These protest actions had had a direct effect on the quality of education for the learners, and to replace infrastructure that had already existed might result in wasteful expenditure for DBE, as it incurred additional costs that were unforeseen in a budget that simply could not afford it. Yet the problem of no sports grounds was within the scope and responsibility of the Department of Sport and Recreation (SRSA), but SRSA would not compensate for the damaged benches. Therefore, the DBE bore the burden of the protest actions unfairly within schools. In Gauteng, were the pupils and civil society sufficiently protected whilst protesting, or in close proximity to it? Mr D Mnguni (ANC) warned that if the SAHRC failed to call a spade a spade, then the protests would continue without ceasing. The protests by pupils had, in essence, nothing to do with the schooling sector. The perpetrators were responsible for harassment and, with violent forms of intimidation, had transformed the academic environment into a space of unrest and lacking in safety. If any perpetrators were arrested, they were released shortly thereafter. Why had the recommendations not advised pragmatism in the manner in which courts should deal with the perpetrators, especially if they were the pupils themselves? Currently the manner in which the protests were handled undermined the reality of the dynamics of involved, such as assault and suffering. Furthermore, the report by the SAHRC relied immensely on diplomacy, which was impractical in the context of the protests at hand. Thus, not only had the recommendations seemed implausible, but they failed to intervene for the preservation of the human rights of those affected. The report insinuated that the Minister of Basic Education was responsible for remedial action, and in so doing the report was not as specific as it was meant to have been, because it had not indicated other departments that were also affected. In other words, it was expected of the SAHRC to have engaged with the Department of Police, and enquire if it was doing its duty by adequately training police officers on how to deal with protesting civilians, as well as those who refrained from doing so but were implicated. If not, how should the police carry out their duties without undermining the constitutional rights of dignity and respect for civil society? Even when protesting, civilians should be treated in a humane manner, because if not then their human rights were violated. Surely the SAHRC should have been specific regarding aspects like that, as they pertained to human rights. Moreover, if the report had divulged concerns about human rights violations within that context, the report would not have resulted in such a focus on the DBE. Instead, the report would have encapsulated the root causes, which were unrelated to the basic education sector. Additionally, if the SAHRC had engaged with the relevant departments apart from the DBE, a proper follow-up should have been sought after. The report by the SAHRC should have been specific regarding the various departments involved, as the reasons for the protests stemmed from a multiplicity of factors, none of which had derived from the DBE. Recommendations from the SAHRC report were misdirected towards the DBE, when these should have been directed to specific departments affected, such as the Department of Cooperative Governance (DCOG) and the Independent Electoral Commission (IEC). Had the report specifically referenced the relevant stakeholders in the various issues, the problems could have been adequately addressed and not allowed to fester. The Chairperson said that the report was meant to have provided lawful mechanisms to protect the rights of those implicated by the protests. Bearing such in mind, were the recommendations directed to the right place and Department? Had the best manner to preserve and uphold the rights of the pupils to receive their learning undisturbed, been considered? Mr Guam clarified that the over-arching theme of the report was that the schools were not the guilty party, and the report had not intended to play the blame game. The purpose of the report had been to outline the impact on pupils and their ability to continue learning safely within schools. The protest action was a protected right and had clear limitations -- such as that the protest should be peaceful, unarmed and should not threaten the safety of peers who chose not to protest. The report had not singled out the Minister of Basic Education to address the causes of the protests. However, it was the schools that were affected the most, therefore within its scope the DBE could lead the other departments to resolve the issues by voicing the concerns of the affected learners with the implications suffered. Thus, the report was not shifting the responsibility to the DBE as though it was solely accountable, but served as guidance that it could be the most effacious for resolving the situation if it were to highlight the protests and issues of concern revolving around them. During the hearings, the SAHRC had found that no department took ultimate responsibility for the protest action. If no department had ‘stepped up to the plate’ for remedial intervention, then the protests would have escalated and the conditions around it would have been exacerbated, which would have further involved the pupils in hardship. Hence, the report had highlighted the DBE as a leading department, because it was the victim of the protests. It had been agreed with the Minister that the way forward was to take the matter to Cabinet to identify the specific level at which a coordinating team could be convened, with the relevant departments identified. The SAHRC was not toothless, and had powers and functions bestowed upon it through the Constitution. The issue of binding powers still needed to be determined. The Department had, indeed, participated in the hearings and so its contributions had informed the findings as well. The Commission had made recommendations and engaged on these with stakeholders and departments, with time frames for feedback on the feasibility of the SAHRC’s recommendations. The South African Schools Act (SASA) was applicable, because the matter under review involved scholars and the impediment of their education, so prosecution would need to adhere to any criminal provisions that it may or might not have. Therefore, the DBE should initiate the process to bring about the necessary amendments to the legislation of SASA for the sake of appropriate prosecution. Dr Martin Nsibirwa, Acting Head: Commissioners’ Programme, SAHRC, added that the report had an overview approach, and gave an assurance that stakeholders had participated actively, after which recommendations had been made, with a follow-up to establish whether the recommendations were implementable or not. A timeframe had been given for a response to the recommendations, and because no response had been received within the timeframe, and until today’s meeting, it was assumed that the recommendations given to the SAHRC were accepted as implementable by the DBE. Also, the IEC had not been included in the hearing, because it had the tendency to be fully operational for one year, which had not coincided with the year that the public hearing took place. It should be understood that the report was not focused on the causes of the protests, because the reasons for the protest action could be as vast and varied as the amount of protests themselves. Instead the report was about the effects that the protests had had on basic education. The SAHRC had discovered that the protests were most impactful when the learners had to write examinations, especially the Matriculation examination. The Chairperson commented that the approach the SAHRC had undertaken was a concern, because it might deal with the effect -- for instance, rebuilding damaged infrastructure -- but it did not address the causalities and so the problems were inevitably recurring. Mr Guam clarified that the report had focused on the implications incurred by the pupils within the schooling sector. Inclusion of other facets may have gone on a tangent that would have derailed the report from considering the suffering of the pupils. Ms Basson asked why the report had prioritised Matriculants, because every grade was important and any form of implication may result in repercussions for learners’ academic performance or cognitive development. Also, had the schools for children with special needs been included in the investigations? The Chairperson noted that schools with special needs were simply regarded as schools, thus they were incorporated within the accounts cited. Dr Nsibirwa replied that the SAHRC agreed that each grade was essential, but the Matriculation year (Grade 12) was of utmost importance because that one year would define the adult life of the pupil for the rest of his/her life. The academic results of the third term were used to gain entry into higher education institutions (HEIs) – universities and colleges -- and if those results were not an accurate reflection of the academic capacity of the pupil due to the implications of the protests, they could not apply for the qualification of the career that they desired, let alone the possibility of failing to gain HEI admission due to lower than usual marks as a result of the protesting. This would have a direct effect on the esteem and psychological health of the Matriculants, particularly if they were of a studious and diligent nature. The quality of their adult life, and the ability for financial self-sustenance and employability, were contingent on the results of the Matriculation examinations, so emphasis of the implications that Matriculants had encountered had been highlighted in the report. The Minister indicated that her response regarding Vuwani had not been meant to be disrespectful, but was intended to discourage learners from burning schools, as the view was that learners sought attention by drastic measures such as infrastuctural damage. The Department had not received the budget it had requested, and subsequently it had had to spread the budget further due to other unforeseen factors as well. Therefore, the perceived slowness in reaction was devoid of malicious intent. In fact, a difficulty to resolve infrastructural damage effectively and fairly across the provinces had been experienced. Since then, some provinces had asserted that just because fewer schools had been burnt in their provinces, less attention had been given to them. Similarly, others had asserted that just because the infrastructural changes were due to natural decay and not because of protests, its provinces were being neglected. In essence, everyone could not be pleased simultaneously. The Minister requested permission to table the SAHRC report to Cabinet before a final response was given on the recommendations, because the DBE could not fully commit to the recommendations of the report by the SAHRC if the Cabinet had not agreed with it. Mr Mweli indicated that his submission to the SAHRC hearings would shed much light on many of the questions and concerns raised by the Portfolio Committee. He assured the Committee that it would be furnished with the DBE submission. He was of the view that the Department was prepared to work with Commission in the sense of trying to assign the recommendations to various stakeholders. There was a need to ensure a long-lasting solution to the ongoing problem of protest action targeting the education sector in its various forms. The Chairperson concluded that the engagements indicated that much cooperation was necessary between the SAHRC and the DBE that might shape future engagements. She was encouraged by the new relationship with the SAHRC, and promised further engagements with them on various matters pertaining to the education sector in the future. There was a need for a review of the recommendations from the SAHRC as they currently stood. There was a need for the SAHRC to further engage and consult with the DBE on how recommendations should be allocated. .
Mr Gaum thanked the Committee, and highlighted that the report was the final version, and was fully accessible on the SAHRC website. However, the response by Cabinet was anticipated.